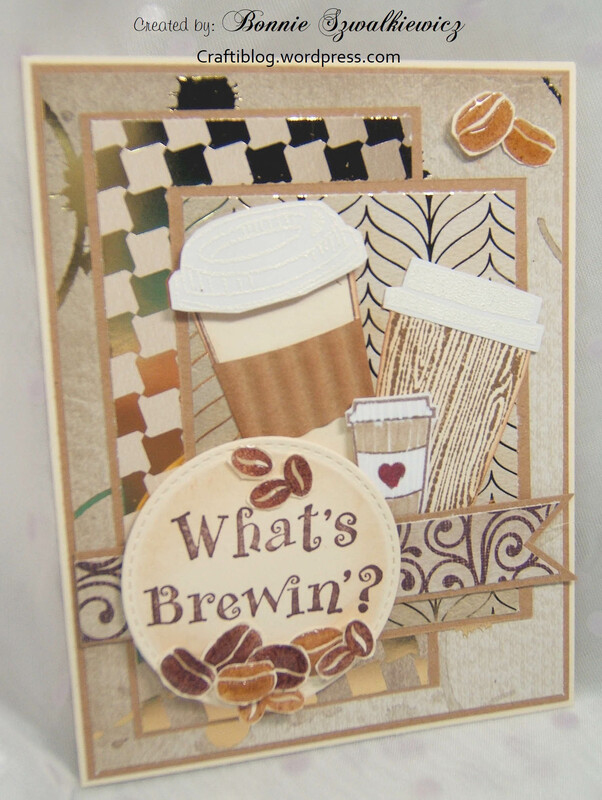 Today’s sample is the card I made for the sketch challenge. I did not have exact measurements of the mats so I eyeballed it as best as I could. All the papers are from the same DP pad and all have gold foil accents (except the banner). 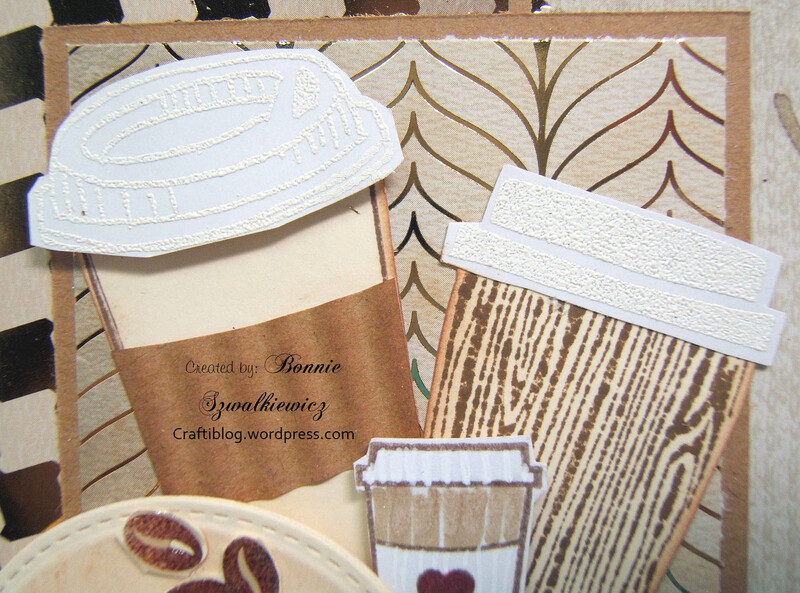 Here you can see the various coffee cups I added. 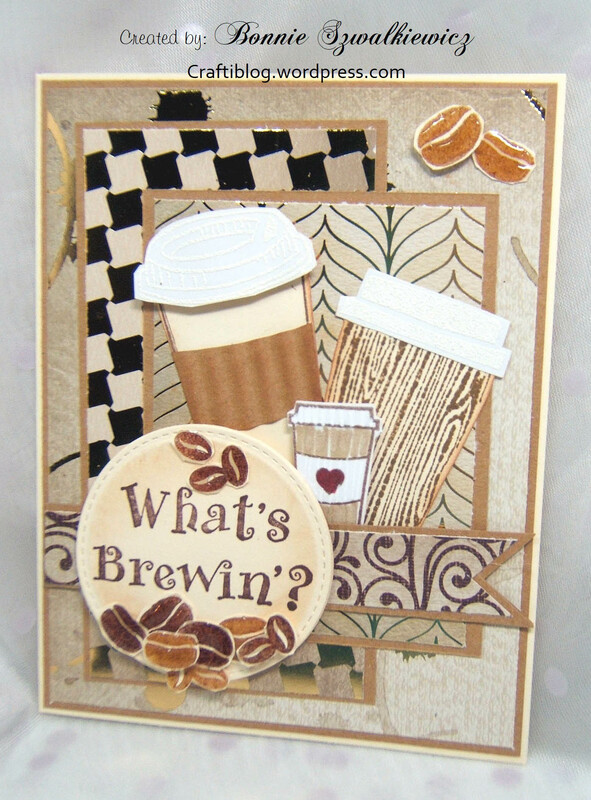 All the layers were glued down flat except the sentiment and a couple of coffee beans. 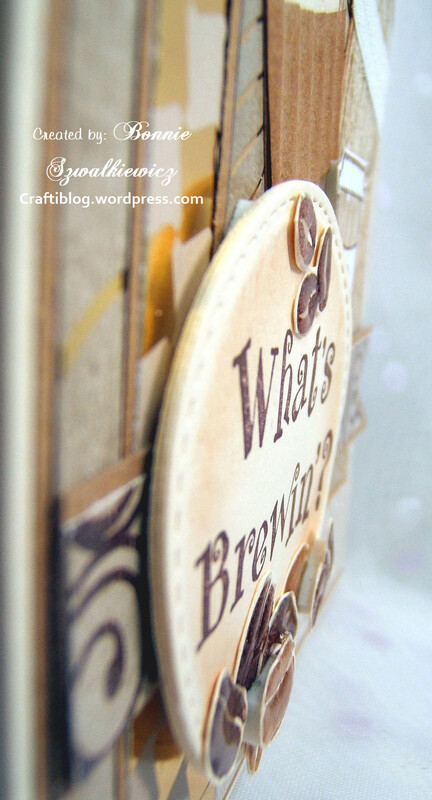 And one more look at the card before you go on about your day. And yes, this won the popular vote. My prize was a DP pad of butterfly themed papers.